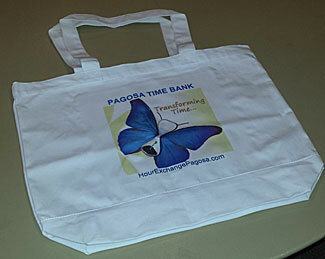 Created to celebrate the Time Bank’s success, we had sturdy tote bags printed with our logo! The bottom folds out for extra room in these well made, nice quality off-white totes. You know you want it! Get yours for JUST $12! 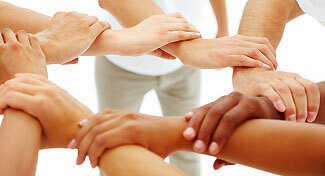 Attend any of our potlucks or contact Jennifer Martin at 970-264-9358. And all this promotes sustainability! 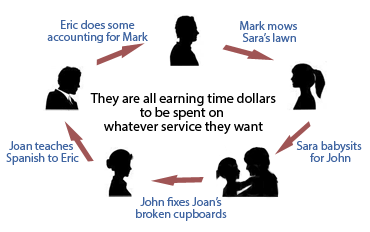 The kinds of services and tasks that can be time-banked are limited only to your imagination, and no one’s time is more valuable than another’s, putting all members on an equal footing. Signing up is simple: Just click on Join Us and fill out the form including some services you would be willing to offer. After you’ve been accepted as a member and attend Orientation (which includes software training), you may log in to the Pagosa Time Banking site. You’ll see a tally of hours given and hours received, a section with Offers and Requests and more! Don’t be intimidated by having to use new software! Requests and offers are organized into some of the following categories: arts & crafts, building trades, business & administration, computers, education, entertainment, event production, food, gardening & yard work, gifts, goods, health & healing, home improvement, household services, legal/law, mechanical, transportation, writing and more! Steve Tanner is a writer and journalist living in Ben Lomond with his wife, young daughter, dog and four hens. He is on the steering committee for Transition San Lorenzo Valley, a local nonprofit committed to creating a more sustainable and resilient community. 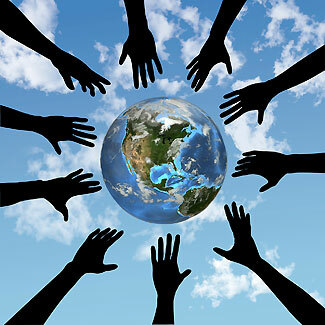 For information: www.transitionslv.org.